Rich in chocolate and naturally sweetened, these Flourless Double Chocolate Muffins are easily made in the blender with only 6 main ingredients. 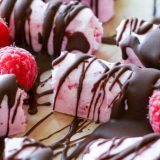 These paleo treats pack easily and freeze perfectly – make them today! The more I learn about food sensitivities and health in general, the more I realize that it’s not so much about omitting foods that wreak havoc on your body but it’s just as important to include nutrient dense foods as much as possible. Even though I can probably do without – kids are naturally drawn to sweets and treats. And I’m fine with that provided that these sweets and treats are made with wholesome ingredients. That’s why I love flourless baked goodies. 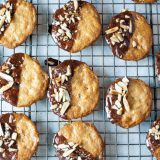 They are typically made with some kind of nut butter that brings richness and healthy fats (not to mention protein) to the treat. Indeed perfect for kids (and adults alike). These Flourless Double Chocolate Muffins are made with simple ingredients that you most likely already have at home. 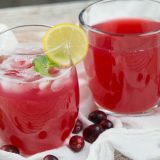 Most importantly, they are all clean ingredients that you will feel good about serving your family. 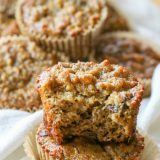 Naturally sweetened with only banana and a bit of honey, these muffins aren’t overly too sweet but if you need more sweetness, I recommend adding a few drops of stevia extract so as to not alter the texture. 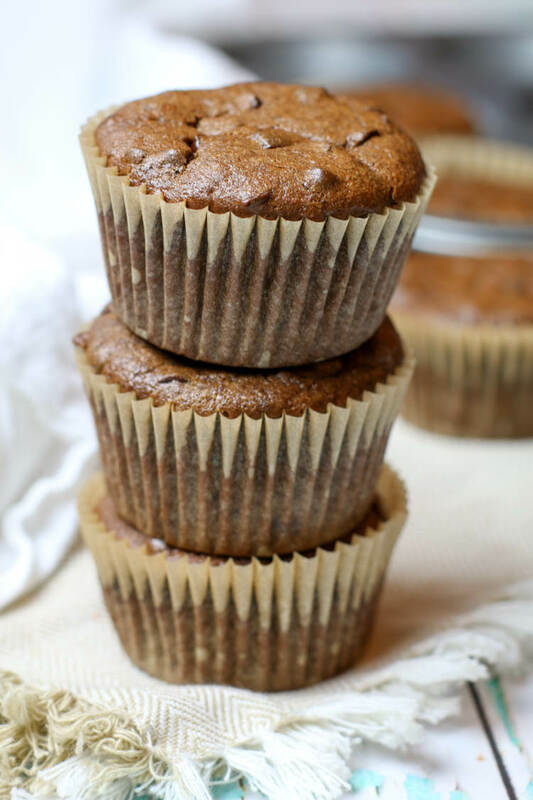 They are perfectly moist, rich in chocolate and decadent texture — these easy blender muffins are ideal for breakfast treat, afternoon tea, or dinner dessert. The fats and protein in the almond butter will tie you over until dinner if you choose to enjoy this in the afternoon. 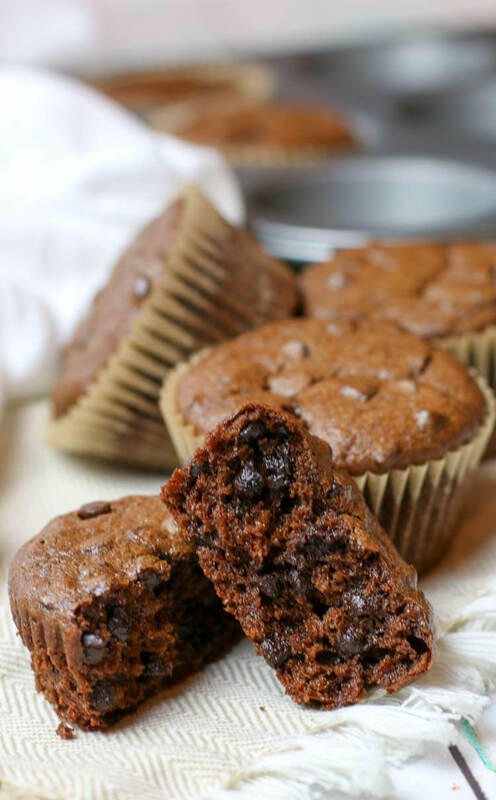 These Flourless Double Chocolate Muffins are also perfect for school lunches. If you don’t care for a strong banana flavor, go with one that has less brown spots. The riper it is, the stronger the banana flavor. Find good quality chocolate chips. 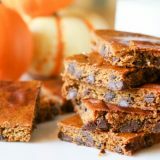 You can even use a chocolate bar in a pinch, just coarsely chop it before adding it into the muffin mixture. Semi-sweet chocolate chips are best for this recipe and I used this brand. 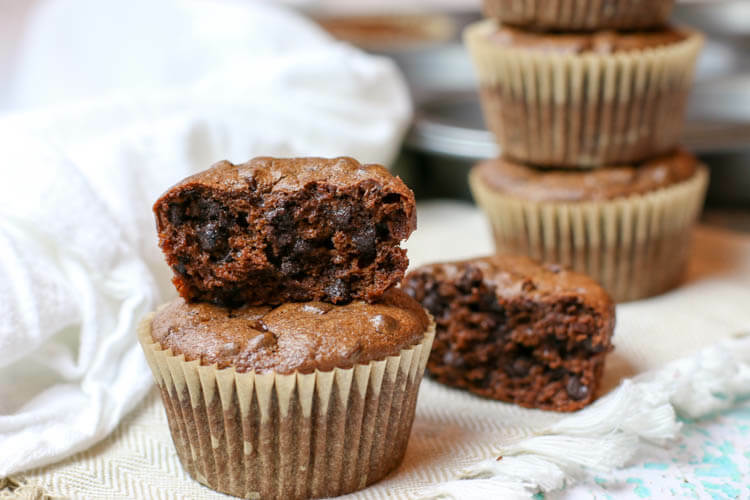 These Flourless Double Chocolate Muffins are naturally paleo friendly. Cacao Powder is allowed in the later stages of the GAPS protocol. To make these muffins GAPS compliant, you’ll need to put a little more effort at sourcing the clean(er) chocolate — THIS Pure7 brand is honey sweetened and is free from junk. Or you can skip the chocolate and instead use fermented cacao nibs instead for more bold muffins. 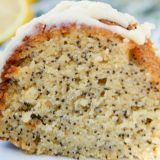 Food Processor OR Blender: These muffins are easily whipped in one of these magic machines. Chocolate Chips: I use these mini semi-sweet chips. Use your favorite clean brand. 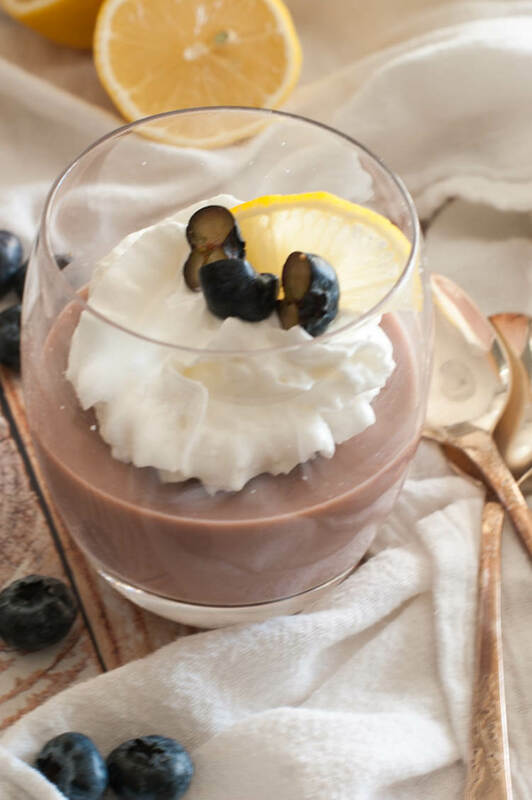 You can also use a honey-sweetened chocolate bar. Stainless Steel Muffin Pan: These stainless steel pans are perfect for all your muffins, cupcakes and egg cup needs. My kids love these blender muffins with a tall glass of raw milk for a nutritious after school treat. Read why we LOVE raw milk HERE. Rich in chocolate and naturally sweetened, these paleo treats are easily made in the blender with only 6 main ingredients. 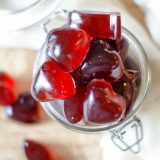 They pack easily and freeze perfectly - make them today! Preheat oven to 350 degrees Fahrenheit. Line muffin pan with liners or grease well with coconut oil. Set aside. In a food processor or blender, combine banana, egg, honey and almond butter until smooth and consistent. Add cacao powder, sea salt, vanilla extract and blend for 30 more seconds. Add baking soda and pulse just enough to combine into the mixture. Bake for 13-16 minutes or until toothpick comes out clean. Keep muffins in an airtight container for up to 5 days at room temperature or refrigerator. We have but allergies, tree nuts. The only nut my kids can do are peanuts. I have heard you can sub sunflower seed butter for almond butter. Would this work here? I substituted sunflower butter and it was really good! 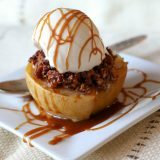 Just made these, they are delicious! Thanks for the recipe, it’s destined to be one of my favorites. Thanks Amanda for the sweet note! Enjoy your new favorite! Substitute for almond butter anyone? Thank you! Hi! I’m wondering if a gelatin “egg” would work in place of the egg? Thanks! 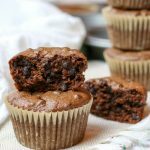 These flourless double chocolate muffins are phenomenal!!!! So gooey and rich – like soft fudgy brownies! I’ve tried many flourless recipes and these are the best I’ve ever tried by far. My family is pleading for more! Just one question, do they always sink down in the middle for you? I’ve made 5 dozen so far and every time they sink down in the middle. Still taste amazing so I don’t really care but just wondering if I am doing something wrong as it would be nice if they didn’t cave in. Thank you! Thank you Karen for the great review! 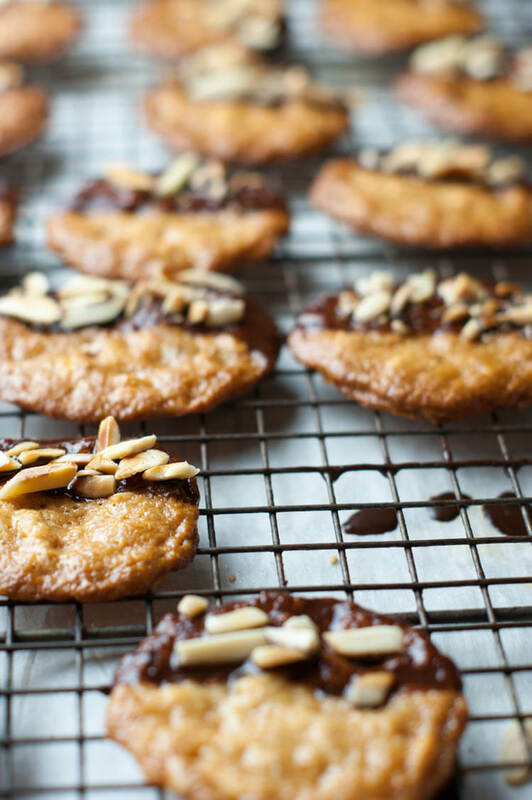 Baked goods can cave in anytime a lot of air is mixed into the batter. 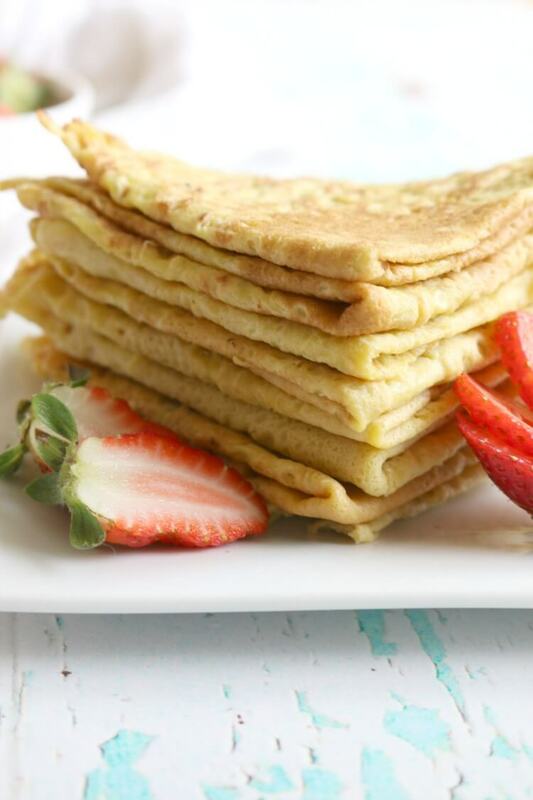 Try to blend the batter just enough to combine everything and not a second more. Hope that helps!